Quezon City – Leftover chicken sandwich from my father’s afternoon snack was what he would usually bring my sister and me after he came home from a day's work. It was the kind of pasalubong he knows would make his little ones happy, aside from an affectionate pat on the head. Pasalubong is a Filipino tradition that has been practiced for centuries. It is a Tagalog word meaning an offering or a present brought by someone for a family or friend. Although its origins are unclear, this custom is a symbol of gratitude and thoughtfulness. It is a way of saying you are delighted to be back safely with your family. Travelling for leisure, work, or study is good, but the time spent away from one’s home country and loved ones can be agonizing when the trip is long. The feeling of being cut off from your regular support system is incredibly lonely. Considering the Filipino culture of close family ties, handing out presents upon returning home is a way of maintaining good relationships among family or friends, as well as a way of saying they were remembered even when you were away. Karen, an online editor working in Quezon City, mentioned that her trips are not without an extra budget for all the pasalubong she wants to buy for family and friends. “I usually spend a thousand on little gifts alone, sometimes even purchasing more pricey items than the normal stuff I get. Nothing compares to the smile I receive when I gave them my pasalubong. The happiness I felt knowing they are happy is beyond compare!” she added. Pasalubong is sort of a travel gift that can come in different forms, including food, delicacies, and trinkets. It can be anything that can make a loved one back home happy; any present, big or small, is always appreciated. Pasalubong represents the value that Filipinos hold for family. Bringing something back to our loved ones, even though it is not mandatory, comes naturally with our desire to share our experiences and bring a piece of it to them. Photos are a good alternative for people who don’t have extra funds or time. Gift-giving has been an important part of the Filipino culture, as it is believed to establish a stronger bond among family, friends, and acquaintances. 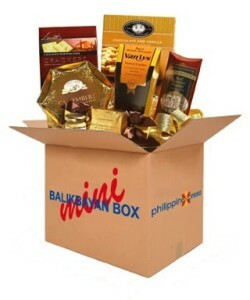 Filipino migrant workers are famous for their ubiquitous so-called "balikbayan boxes," typically packed with chocolates, clothes, and other stuff that will be shared with everyone, an important indication of how pasalubong culture is alive in the country. While this cultural practice is admirable and accepted in the Philippines and even across Asia, the act of bringing home pasalubong can become a burden rather than a boon, as the fear of not bringing enough or unintentionally leaving someone out can be a source of unwanted stress. Conflicts sometimes arise when neighbors you hardly even know expect a token to be handed to them and get disappointed when they receive nothing. The giving of pasalubong is not an obligation but an effort to express love and affection for our loved ones. It is a way of bringing a piece of our travel to them and making them feel that although we were far away, they remained in our thoughts. With it, we hope to not only strengthen our relationships but also share our blessings.